In November of 1972, my senior year in high school; I heard a song blasting on the radio that made me want to get up and dance…and still does today—Jesus Is Just Alright recorded by the Doobie Brothers. The song relates that Jesus was his friend. I was experiencing a friendship with Jesus day by day, in 72’. I was so amazed that it was possible to know the Savior of the world; Jesus–the Son of the true and living God! 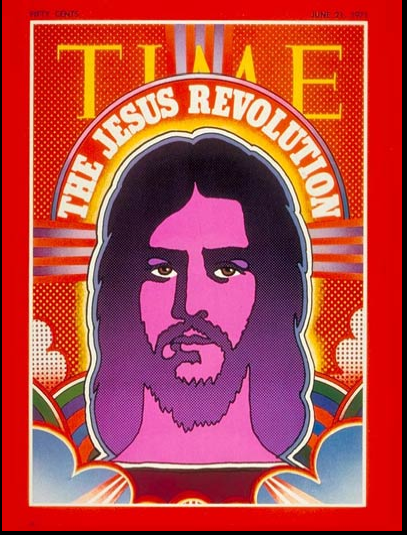 I was riding the wave of the Jesus Movement, a wave of the Spirit of Christ moving across the USA in the 70’s. Jesus is His Father’s beloved Son. In Jesus we have redemption, the forgiveness of sins. Jesus is the image of the invisible God, the firstborn of all creation. By Jesus all things were created, both in the heavens and on earth, visible and invisible, whether thrones or dominions or rulers or authorities. All things have been created through Jesus and for Jesus. In Jesus all things hold together. Jesus is the head of the body, the church. Jesus is the firstborn from the dead, so that He Himself will come to have first place in everything. It was the Father’s good pleasure for all the fullness to dwell in Jesus. Through Jesus to reconcile all things to Himself, having made peace through the blood of His cross; through Him, whether things on earth or things in heaven. The One who is just died for the unjust ones. The righteous One gave His life as a ransom for the unrighteous ones, so that He might bring us into a relationship with God. Jesus is just all right! Then in 1997, I remember hearing my children jamming to Jesus is Just Alright recorded by DC Talk. From generation to generation Jesus is just all right, He is just and all together RIGHTeous!